Deputy Defense Minister says Kerry's plan, as outlined in the New York Times, is "dangerous and detached from reality." 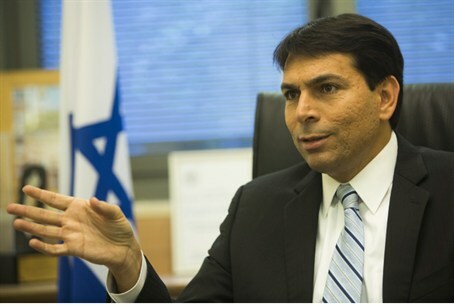 Deputy Defense Minister Danny Danon rejected on Wednesday U.S. Secretary of State John Kerry’s plan for peace between Israel and the Palestinian Authority (PA), as outlined by Thomas Friedman in the New York Times. “Israel will not split Jerusalem nor will it withdraw to the pre-1967 lines,” he added. According to Friedman’s report, Kerry “expects and hopes” that both Prime Minister Binyamin Netanyahu of Israel and PA Chairman Mahmoud Abbas will declare that despite their reservations about one or another element in the U.S. framework, they will use it as the basis of further negotiations.